Thirsty Pilgrim: The Amazing Before and After of the Amazing Japanese Pancake. Amazing! The Amazing Before and After of the Amazing Japanese Pancake. Amazing! So, the Missus and I just had some culinary adventures in the port of Amsterdam, a name I can't write without singing loudly to myself in cartoonish imitation of Jacques Brel or David Bowie. Surely everyone does that? Highlights for us included plenty of falafel and beer. We're simple, hobbit-like folk who think with our bellies. I'm told we went to a concert and even a museum between meals. The best feeding of the weekend was at the aptly named Japanese Pancake World. 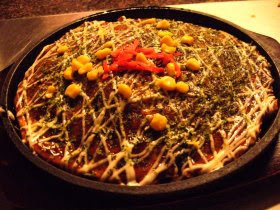 The specialty there is okonomiyaki; but you'll find "Japanese pancake" much easier to say I think. The literal translation is "grill what you like." 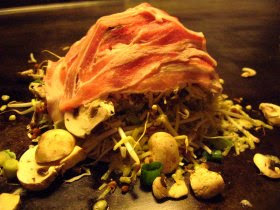 To the Japanese this is ancient street food, often eaten at festivals. To us it's just damn tasty. And now I imagine that somewhere in Japan there is a gourmet corn dog restaurant. Doesn't matter. Mine was Hiroshima style. What's in there, anyway? A bit of batter, loads of cabbage, some corn, thin slices of pork... and a bunch of other things. Some little curly fish flakes. Noodles. Seaweed. Other odds and ends. This tall pile of stuff is cooked at medium heat on a griddle, slowly, squishing it down as some of the juices cook out. Finally it's turned upside-down (or right side up, if you prefer) and slathered with Worcestershire sauce and mayonnaise. You are encouraged to slather more and generously. I slathered like a slathering fool and was not disappointed. Every bite was a sweet-and-savory burst of yum. The only thing this place was missing was some decent beer. Luckily one of Holland's best is a 10-minute walk away. The Arendsnest is atmospheric and very Dutch, showing great taste with its list of local beers. 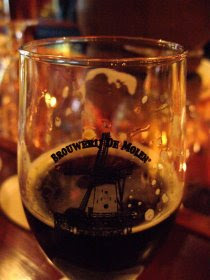 Pictured here is the Pek & Veren, a smoked stout from the Molen brewery. I wanted more flavor from this one. You know, more contemplative sip-ability, considering its 8% strength. Instead it was dangerously smooth and quaffable. The smoke was almost too subtle. It was awful purty though. I must admit Brouwerij Molen is one of the few Dutch breweries I have huge amounts of respect for. I seem to drink less and less Dutch beers after being continually under impressed over the years. I’m usually happy to drink beers from Ij, Christoffel, Scheldebrouwerij and of course La Trappe but in general the Dutch beer I have sampled has tended to be just the run of the molen. We had their 4.5% abv beer served British style at Chelmsford Summer Beer Festival last year. It was one of my favourites. We must do it again sometime. "Run of the molen." I'll just tell you know, I'm going to steal that and pretend I made it up. 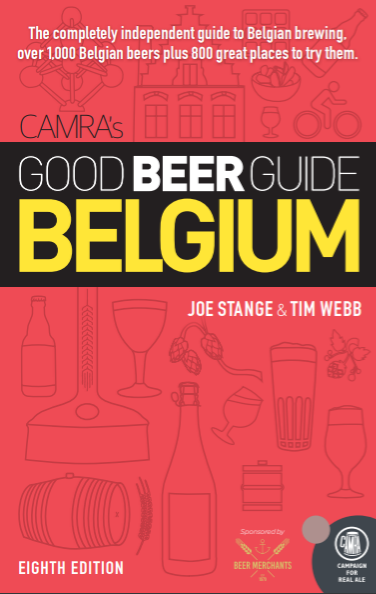 I look forward to seeing the phrase used in "Around Amsterdam in 80 Beers" in 3 or 4 years time.